Hanging Lady: Do you have anything light? Okay, so maybe there aren't many Jewish sports legends, but this week has been a great one for professional Jewish athletes with Italian roots. Italy will be playing in the Euro 12 soccer championship game this week and they got there being led by Mario Balotelli, who grew up as the foster son of a Jewish mother. Israeli newspaper Haaretz reported that "Balotelli dedicated the two goals he scored in Italy's 2-1 semifinals victory over Germany on June 28 to his foster mother, Silvia, who raised him in northern Italy. 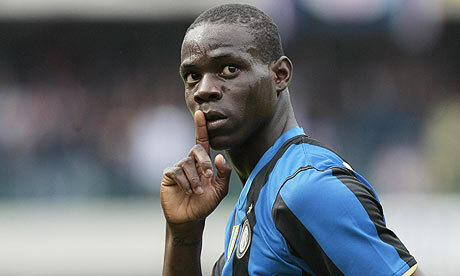 Newspapers and websites ran a dramatic photo of Balotelli tearfully embracing his mother after the match." Moked, the website of the Union of Italian Jewish Communities, called the Balotelli's emotional embrace with his mother "an emotion for all Italians and a special emotion for Italian Jews." Balotelli revealed the fact that his adoptive mother was Jewish in early June, when like other teams, the Italian national squad visited Auschwitz ahead of the start of the games. Also, this week came the revelation that Jewish Italian tennis player Camila Giorgi will be moving to Israel after Wimbledon. Giorgi has reached the second week of Wimbledon competition. She was born to Italian parents of Argentinian descent and currently lives in France. The European Jewish Press reports that the Israeli Tennis Association (ITA) will offer Giorgi a $100,000 grant in return for a 30% cut of her prize money over the next few years. I certainly hope Italy keeps churning out impressive Jewish athletes in the years to come. In the mean time I'll be cheering for Balotelli in soccer competition and following Giorgi's international tennis success. Buona fortuna! "..the Israeli Tennis Association (ITA) will offer Giorgi a $100,000 grant in return for a 30% cut of her prize money over the next few years". Are they asking also a pound of Camila's flesh?